A regional daily has been cleared of any wrongdoing over an investigation into ‘gay conversion therapy’ which led to one of its reporters being named Young Journalist of the Year. 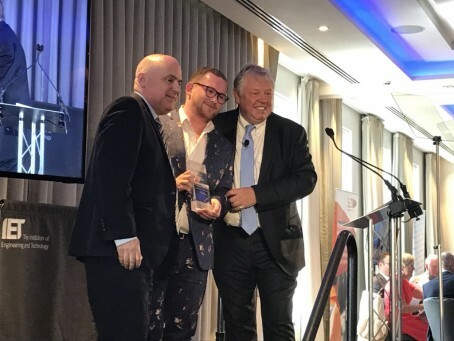 Josh Parry, formerly of the Liverpool Echo, won the accolade at this year’s Regional Press Awards after going undercover to expose the practice on the newspaper’s patch. But the investigation in August 2017 prompted a complaint to the Independent Press Standards Organisation from Dr Desmond Sanusi, a pastor whose church was involved in the practice. Dr Sanusi claimed it was inaccurate for the Echo to describe him as a a “gay-cure pastor” or the head of a “gay cure church” – but IPSO has backed the newspaper. Josh, who had contacted the church posing as an individual questioning their own sexuality, wrote a series of three articles alleging that it had offered “gay cure therapy” as part of its “deliverance programme”, which involved fasting for three days. In his complaint under Clause 1 (Accuracy) and Clause 2 (Privacy) of the Editors’ Code of Practice, Dr Sanusi denied that he had advocated “cures” for homosexuals delivered by way of starvation therapy, and it was therefore inaccurate to refer to him as a “gay-cure pastor” or the head of a “gay cure church”. He added that the second article gave the significantly misleading impression that he himself had advised a 24-hour fasting period specifically in relation to a “gay cure”, and said that during a partial recording of his conversation with Josh, which Dr Sanusi provided to IPSO, he had condemned any practice which encouraged a “gay cure” by way of fasting. Dr Sanusi further expressed concern that the first and second articles had disclosed a photograph of his wife’s car, which the registration plate was visible, and said the publication of an excerpt from the church’s website which included his photograph had also represented an intrusion into his private life. The Echo denied a breach of Code, but accepted Dr Sanusi’s position that he did not suggest the 24 hours fasting was a gay-cure. In an attempt to resolve the complaint the Echo offered to publish clarifications in print and as footnotes to the online articles as a gesture of goodwill. It also said that it would be happy to amend the headline to the third online article to remove the reference to Dr Sanusi as a “gay cure” pastor, but he declined both offers. In its ruling, IPSO found a member of Dr Sanusi’s church had offered “gay cure therapy” as part of a deliverance programme which involved fasting for up to three days, and that care had been taken to distinguish between the advice of the “assistant pastor” and the response given by Dr Sanusi. It also found he characterisation of Dr Sanusi as a “gay cure pastor” and the head of a “gay cure church” was not misleading in those circumstances. IPSO did not establish that the Echo had failed to take care over the reporting of Dr Sanusi’s response to Josh, nor was the article significantly misleading in the manner suggested by the complainant such that a correction would be required, and did not consider that the article contained any information about which the complainant had a reasonable expectation of privacy.